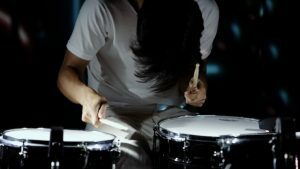 For my final project I’d like to create visual software that responds to music and could be used as background visuals for performance. 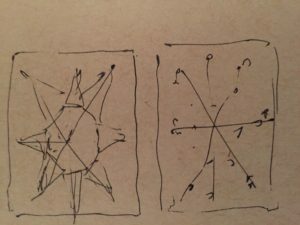 I would like my final project to be something that through mouse control by the VJ or whoever was the controller, you could create new shapes appear or cause the visuals to change and to move in a different direction. I’d like to play with multiple colors and spaces and watching movement move in and out of view. The sensation I’m looking to create is that of looking out of a window. The visuals go by and the backgrounds and visuals change when the user clicks mousePressed. 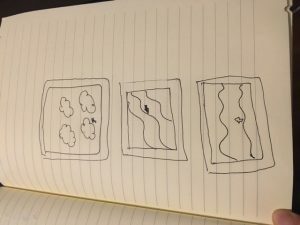 A few of the visuals I want to create are clouds passing by that when clicked change shape into water that then blends together and then when clicked again can become mountain ranges. These are just starter ideas and I’m sure as I progress I will come up with more as things continue. The first project that influenced the design of my final project is the Trippy H music generator. 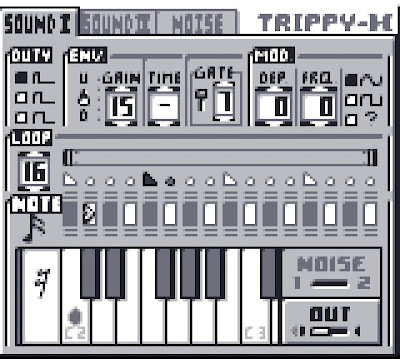 Trippy H was a minigame that came with the original gameboy camera, and it allowed players to create their own music using a rudimentary synthesizer. I admire this project for its simplicity but also its versatility. The visual and functional design of this program inspired a lot of my project proposal. another piece that inspired my project, is this example of early electronic music, by Jean Jacques Perrey. i love the chirpy sounds on this record, and how innovative it was. this album and song came out in 1968, and a lot of interesting techniques and it pioneered lots of interesting electronic musical techniques and styles. This record has the sound profile that I want to emulate in my project. 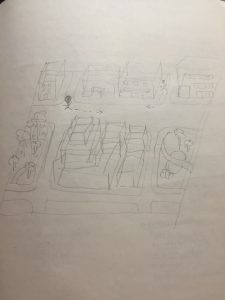 For my final project, I am planning to make an interactive animation that tells a story of a character traveling along the streets in a neighborhood. On his journey(his x,y positions), he may encounter other characters or be involved in some incidents. The neighborhood will be axonometric in a bird eye view. To make it interactive, I am thinking of using mouse clicks to create random incidents, for instance, the time(day or night), or the direction of him walking. For my final project I want to create a sequencer in p5 js. A sequencer is basically a device that stores and plays a sequence of notes or sounds. 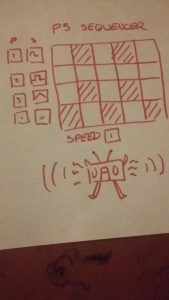 My basic idea right now is to have different kinds of sound waves that the user can choose to turn on or off at different times, and to have the user be able to control the pitch of the sound, and the speed of the sequence. For my final project, I hope to create a game. 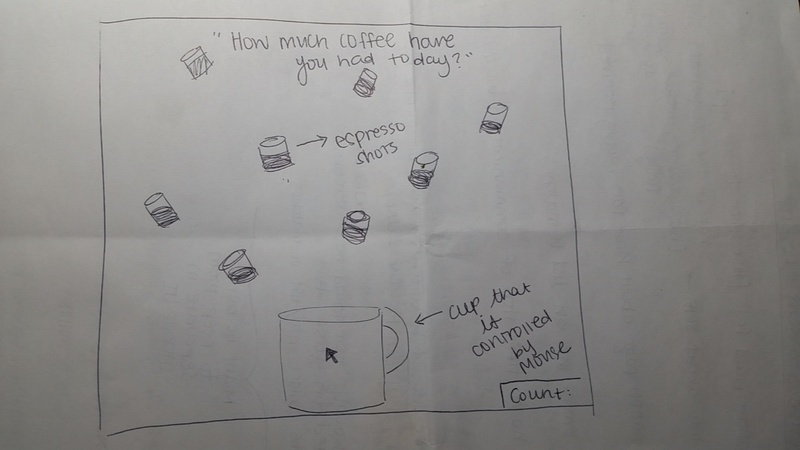 In the game, there will be a cup that is controlled by the mouse, and there will be randomly generated elements (of espresso) dropping from the top of the screen. The player will have to move their mouse in order to catch these shots of espresso, and there will be some kind of counting mechanism. Depending on how many the player catches, there will be a different dialogue that is displayed to the user.